I’ve been been searching for the Ultimate SIM card for global travel. 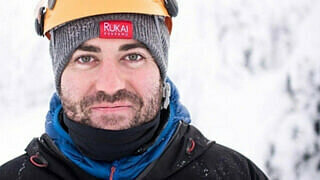 I’m a long term traveller, location independent, Digital nomad and I’ve been on the road for the past 9 years. 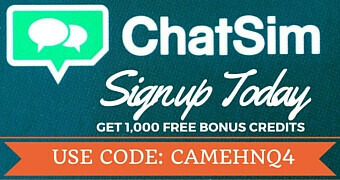 I’m excited to talk to you today about ChatSim, I think it may have the answer. The one problem I face with every new country, I enter is having to purchase or juggle around with my endless supply of global Sim Cards. It’s just pure annoying and it would be great to have one affordable solution. Many mobile service providers have Global data plans such as T-mobile in US or Vodaphone in Europe, but monthly Data plans are expensive and it starts to add, it’s gradually becoming cheaper but still not yet at an affordable price point. I wish I could find one Mobile phone company that can offer a global SIM card to match the everyday need of location independent travellers on a budget. An Italian company has just launched a new SIM card service that might just be the ultimate answer to the global mobile plan problem. For a one off fee of €10 (plus delivery costs, which ship globally in most locations) entitles you to one whole year of pretty much free Whatsapp to Whatsapp text messages as well as many other chat based service apps (Such as Facebook messenger). 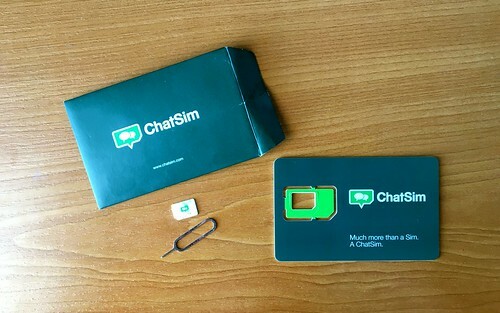 The SIM card is called ChatSim and is available to order today online to be used in almost any country around the world, perfect for global backpackers, digital nomads and location independent individuals. But what about sending photos, making calls, sending text and 3G/4G data roaming? OK, the catch, you have to pay extra for this. Its not perfect, but its for sure a short term solution until something better comes along. At the moment I search for a Wifi connection which can be found almost anywhere these days, when I need to make a call I use Skype or Facetime and I don’t like being 100% connected to 3G/4G all the time anyway, it’s nice to just check the internet when I find Wifi and spend the rest of my time enjoying the new country I’m about to explore. I just want a solution that easily connects me to my Family and Friends if needed globally and won’t cost me a fortune. Having to find Wifi all the time is not ideal and having only Whatsapp to Whatsapp available for only €10 a year sounds like a pretty good deal to me. With almost everyone I know having a 3G connection, asking them to communicate with me via Whatsapp only wouldn’t be an issue, in fact It’s mainly the only way I talk to some close friends anyway so its a perfect solution for me for now. The day of owning hundreds of SIM cards is almost over! It’s also a fantastic solution for contacting Couchsurfing hosts and AirBnB hosts who are locals and pretty much have a 3G connection so it’s a perfect solution for contacting hosts as well. So far from the outside it looks incredible and I can’t wait for my WhatSim SIM card to arrive so I can test it out, it’s a start towards something I’ve been searching for in a long time and I’m happy the world is catching up to an innovative solution to this global connection problem.